Many homes in New England have walk-on, flat roof decks with living space under them, and 90 percent of these deck roofs leak, ruining your rooms. Stains on sheet-rock ceilings, popping hardwood flooring, wet carpets and rotted framing are just some of the damages that you may sustain as a result of these leaks. Destruction of personal property such as beds, book shelves, computers, TVs and other electronic equipment can also occur in cases of severe leaks. Most roof decks leak because they are typically made of flat roofing materials, that were created over a century ago, and were not designed for use as roofing for residential homes and living areas. Another reason is the original design flaw implemented by architects and/or builders, who have no experience in flat roofing, and do not have appropriate roofing technology to use. 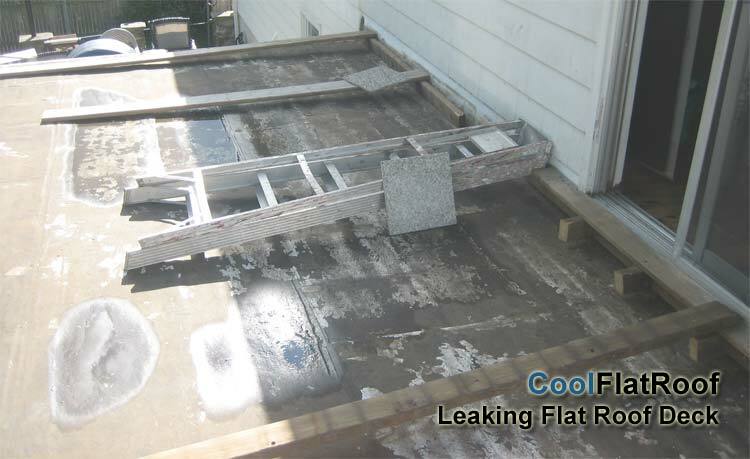 Avoid conventional flat roof materials – they will leak! A properly waterproofed deck should never need repairs or replacements. Even with a floating wood deck on top, you should never have to do maintenance or deal with leaks. This CANNOT be accomplished with rubber roofing (EPDM), becuase rubber is a GLUED system. Glue breaks down with time, and even faster, when you add water to it. However, using IB / PVC Cool Flat roofing membrane, you can waterproof your deck and forget about! Very often you can find ponding water accumulating on these deck roofs. The majority of flat roofing systems existing today cannot sustain constant ponding water, and as a result water enters your house, and destroys your possessions and property. Often there is a wood deck installed on top of a flat roof or some sort of a railing system. To make these railings securely attached to the roof, builders often create penetrations for every railing post on the roof. The only way to “seal” these penetrations for most builders, is to use roof cement or pitch-pockets – both of these methods are considered unacceptable by the National Roofing Contractors Association (NRCA). Yet, most builders don’t have the appropriate products, expertise, and many times, don’t care enough to make these penetrations water-tight. This results in more leaks – usually these leaks don’t appear inside your home for years, but the hidden damages can cost thousands of dollars to fix. Water slowly enters your home and rots the beams and studs. While unnoticed for a long period of time, such leaks may sometimes result in partial or complete re-framing of your roof and/or support walls. Damages caused by leaks are very expensive to fix. Yet, you can easily solve this problem in a fairly cheap way (when compared to costs of replacing and repairs you have to incur if you let the leaks continue) with IB’s life-time roofing product. With an IB Roof, you will never have to worry about leaks again and you could finally regain full use of your roof deck or patio. We offer two different solutions for you to permanently solve your deck leaks. Both ways utilize IB’s time-proven CPA membranes, featuring hot-air welded seams. The main difference between the two methods is the product you choose to use, and the aesthetics you desire. A fully integrated waterproofing membrane system designed for use on walk-out roof decks. DeckShield is highly slip-resistant, and not only complies with, but also exceeds ADA (Americans with Disabilities Act) requirements. DeckShield can be used for a small balcony, as well as a large roof deck, and for everything in between. Hot-air welded seams make IB DeckShield a long-lasting waterproofing solution that is both eye-pleasing and safe to walk on when it is wet. Expect many compliments from your family and friends when they get to see your new roof patio with IB DeckShield. Since IB DeckShield is made from the same material as other IB membranes, it is easy to accommodate for any roof penetrations, such as a Railing System and Roof-Wall detail. This will ensure that your roof will be water-tight and you can take full advantage of your deck or patio once again, invite your friends and family for a cookout, enjoy a cocktail, or watch the stars. DeckShield is easiest to install on new construction homes. However, it can be easily adopted for retrofit use on existing homes. 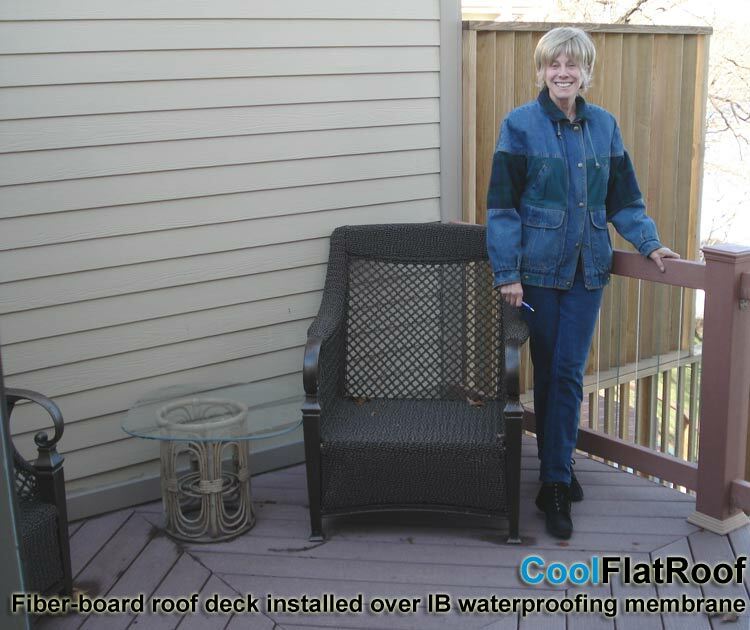 IB Deck Shield is installed as a fully-adhered application on top of Dens Deck – a fiber-cement type board that is 1/4 of an inch thick, or over plywood. The surface for installing IB DeckShield must be clean, smooth and flat. That is why in some retrofit applications use of DeckShield may be difficult or impossible. When you have an uneven surface, it is best to use the regular IB Roofing Membrane with a wooden deck over it. If you still want to use Deck Shield for a retrofit roof deck project, expect the additional costs of making your roof surface even. 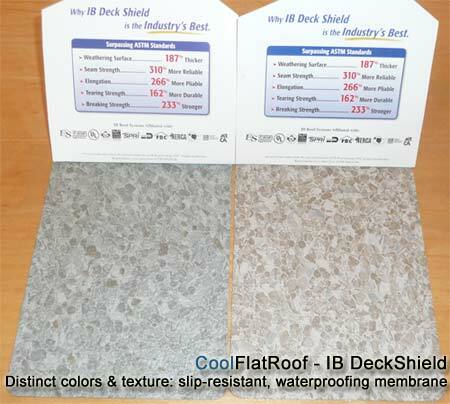 Learn more about how IB Deck Shield membrane is installed, installation prices and more general information on roof deck waterproofing, using IB DeckShield membrane. IB DeckShield – a beautiful and durable decking waterproofing membrane. A happy client enjoys her private roof-deck in Arlington, MA. Roof assembly consists of 80-mil IB Roof for waterproofing, and a diamond-shaped, low profile deck. Wow – this might take a little iteration to come to the best solution – but no way forward other than to start. I recently purchased a 32′ x 32′, 4-Square style 1906 house in WA state with a view out onto the San Juan Islands. I believe the roof style is a truncated pyramid hip roof which terminates in a 13′ x 13′ widows walk. The structure is 2 1/2 stories (two full stories and a dormered, floored attic). So – a 3 foot railing will be a must. I want to put a roof covering onto the current widow walk ‘flat’ roof (which is currently accessed by a 2×4′ pull down attic ladder to a roof hatch) so I can use it as an occasional deck. Need something tough that will not leak as water would flow down into the core of the house. My thought was to put on a durable membrane and then cover with a composite deck set on sleepers. Would rim the area with 2x material set on edge and attached to roof sides to form the sides within which the deck would set. But, I am also open to a simpler membrane only that could then simply overlap the hip potions of roof on 4 sides. I can re-slope the current ‘flat’ roof 1/8″ per foot side to side or from a center ridge or 4 ways from a center peak. I also have a 2nd ‘flat’ roof over a sun room (part of first floor) which is already built with a single slope out from the side of the house. Roof is currently roofed with a torch down which is in good shape. About 9 x 12′. Will also require a railing. Suggestions? So best if we start with some pictures – pleas upload pic of the whole house and then the flat roof part to Imgur, and post a link here. Without pics, it’s a bit hard for me to imagine what you are referring to. But as far as material choice – I would definitely go with something like IB DeckShield. PVC with floating deck seems like an overkill for a 13×13′ deck. Once you upload pics and share link here, I will take a look, and give suggestions. I was wondering if this could go over a regular deck I want to add a screened in area under my existing deck but I don’t want the water coming through the upper deck? You should be able to do that. Just add some sort of substrate to the deck, like 1/2″ plywood or 1/2″ Ply ISO “recovery board” or Fiber Board or DensDeck (better). Then you could mechanically attache or fully adhere the PVC, making it water-proof. One thing to keep in mind is water drainage. You may need/want to use tapered insulation to create at least 1/8″ per foot slope, which would make the water run off properly. If you want to continue using your deck as a deck 🙂 … then I’d recommend IB DeckShield instead of regular PVC. I am a general contractor in Vail Coloado at an elevation of 8,000 feet. An addition consisting of 20 by 24 garage with deck above will attach to the gable end of the the existing house. There will be a roof made of solar panels over the deck. A hot tub will be installed on the deck. I imagine a slight slope for the deck. You sound experienced. I would appreciate your advise on the final construction plans to achieve a water tight garage and easily repairable roof in case of leaks that may occur many years down the line. 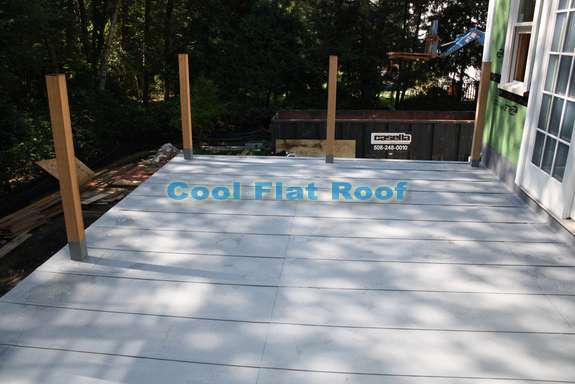 The new proposed garage/deck also connects to an existing (over a patio 12 year old stamped concrete) deck that was installed over 2×6 T&G supported by 4″ x 8″ deck joist. The exist deck leaks onto the patio because the poor installation of the water proofing under to stamped concrete. I do not want to use stamped concrete on for the deck over the proposed garage/deck. I believe the penetrations for railing posts for the proposed deck can be eliminated by installed the railing post beyond the edges of the proposed deck. I can email you the plans and we can talk on the phone it you provide me your phone number. So I think I understand what you are looking to do correctly. I’d recommend making a decision on whether you want to use DeckShield or regular PVC, with a floating deck on top. DeckShield will end up being much cheaper, and easily accessible for any potential repairs. If you want a floating deck (wood or composite or PVC), it would be best to build it in 4×4′ sections. This way you’d be able to take it apart easily, if there is a need for repair. As far as your stamped concrete deck, you can extend the PVC or DeckShield to also cover that section, which will give you a continuous waterproof deck. Finally, there is no need to put railing posts on the outside, since IB offers excellent post flashings that fit perfectly over 4×4″ posts, and are super easy to weld in, ensuring those penetrations do not leak. It will greatly simplify / streamline your railing post installation, and you won’t have to worry that past are not attached firmly enough in 5-10 years. 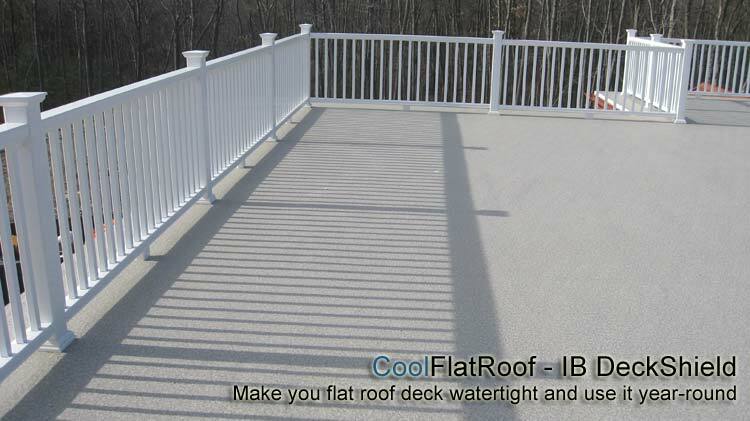 These IB post flashings are available for both solid color and Deck Shield products. I’m interested in IB deckshild. We currently have a rubber roof under a wood deck, and it’s leaking. It’s only 10 years old and I can’t replace my deck and rubber roof every 10 years!! It looks like you can use IB deck Shield with nothing on top? So it’s a waterproof roof that can be used as a deck surface? I’d love more info as well as someone in my area who can install it correctly? Hello — I have a flat roof about 18 years old in need of repairs and was going to use a silicone coating system in the interim to address the roof issues (currently no leaks). However, I am considering adding a roof deck/patio in 5 years or so. If there is a silicone coating system in, would that interfere with any of the above options mentioned here? Also, would a full roof replacement be advisable first before considering adding a deck? Would love a recommendation for an installer for flat concrete roof on garage in Minneapolis, MN. Thanks! Can I put a stone veneer for the roof deck? So you can, but it gets tricky. If you want, my friend Jerry Lang works with a pavers manufacturer in MA. I can get you in touch with him. Or just go to his site. Need a name of the nearest certified installer in the Owensboro KY 42301 area. I would like to install IB deckshield on a residential roof 30 x 100ft in a 5 story walk up brownstone on the upper west side of manhattan. There is a metal rail which runs the down two sides of the roof. The rails are on about 40 small, 6 inch high, studs which come out of the roof. Can you give me an estimate for this job? Looking for a contractor to repair our 24 x 24 rooftop patio. Would love to find something that will hold up to foot traffic and furniture (chairs) moving around. Current roof showing wear and areas of freestanding water after rains. If a deck can go over top that would be ideal. I am interested in getting the name of a local contractor for a price quote on an 80-mil Membrane with PT / Composition Deck on Top. I have an existing flat roof with a composite deck over it. The deck is in great condition, but the flat roof is leaking. I am wondering if the existing composite deck can be reinstalled after a new IB membrane roof is put on. I would need the price either way on a roof area of approximately 500 square feet. I live in the Northwest Indiana area. I am getting ready to stain/seal my wood deck that sits over an EPDM rubber roof. (Had I known about this site, I would have opted for your product. However, do I need to seal the wood with latex or may I use an oil-based product? Suzan, you should use normal deck stain products. Just have your contractor, not apply too much, to minimize drip onto rubber. About rubber – I do recommend sealling ALL seams and flashings with 12″ tape and lap sealant before putting deck on. You really don’t want to take deck apart to fix small leak. Question. I had the IB PVC membrane installed over my flat garage roof. I never installed a railing system now i need to since selling house. I can not attach post to outside of roof due to gutters. I have 2 layers of 5/8″ plywood beneath the membrane.. No blocking since no access to put them in. I would need to cut through the ceiling below to put them in. I found a product called titan post anchors for surface mounting but they require blocking. Only option i found for that is using lag screws to bolt down 2 x 8 treated lumber to the top, but finding the joist is problematic. Than sealing that and post with additional membrane. Not sure about the idea of puting wood deck down atop sleepers. In order for drainage the sleepers could not be solid unless i run them same direction as the joist. I am yet to find plans for this type of deck installation and stll does not say how to install the rails. The company that installed the membrane wants me to cut through the membrane and decking material to attach the rails to the rafters than reset the decking and have them come out and seal around the post and fix where the membrane was cut through. Again, finding the joist is problematic. Ugh. The entire roof is 22.5 along the front x 22 ft with a 7.5′ x 4.5′ area infront of door. It shortens one side from 22′ to 17′ 11.5″. I am aware of code for the hand rails, width, height, baluster spacing etc. I live in the Fort Worth area of Texas. Also, i forgot to add. I want to mount railing 2′ in from edges except in front of door, do a set back of 1′ on the two edges. We are building a home in the Austin, TX area. Thinking of going with a flat roof WITH a floating deck but also putting a solar array on part. What would you recommend? The assembly type 2, it seems? Need to find out how they affix the solar panels. We are still in the planning phase, so many variables left to pin down. Whatcha think? If your roof can support the weight – By all means go with assembly #2. However this will me a more expensive option. If you still prefer it – I recommend adding a 1/12 slope to the roof, just to make water run off. So it will be very easy to attach Solar Panels to IB Roof, anywhere you need, without penetrations! I am in Buffalo, NY. I have a flat roof with a small deck built on it. The roof is a heated rubber roof that is coated with aluminum roof coating, which I re-coat every two years. It is about 20 years old and needs replacing. The deck is deteriorating also and needs replacing. Do you have someone to install a Ib2 system in Buffalo? When you are making a roof deck, it crucial to make sure that is water proof because otherwise it will damage you property. You should hire the best roofing company in your area for this task, so that you get the best value for your money. I have approximately a 20′ x 30′ deck over a roof area to recover. (a tear-off and rebuild) Can I utilize the pvc material for the roof and final waterproof layer under a deck? Can you provide some advice on construction details? 1) Install DensDeck substrate, glued down (no fasteners). You can use special 2-part adhesive OR a lot of water-proof Liquid Nail. 3) Mark your runfter runs on the membrane, and place a 2-3″ wide strips of membrane between roof and deck rafters. 4) Install your deck and enjoy life! We know that l our deck rafters are spaced 16″ on center. So we mark our rafter runs and place ALL fasteners between thees runs, to make sure that rafter will not sit over a screw head, and will not puncture the membran. You should still use some sort of dense insulation board (no styrofoam here). A fiberboard will do just fine, but DensDeck or similar board is highly recommended. I have a flat roof deck “floating” that has shifted over time. It has moved a few inches away from the back of the house and needs to be pulled back for safety reasons. How can this be done? We are currently redoing our deck that is over our garage. We are Do-It-Yourself type of people, that would be interested in learning how to install. One thing I need to mention – you cannot purchase IB Roof direct, and I doubt that any contractor will sell you just material, so you will need some other PVC material if you want to do DIY thing. Good luck and let me know how it worked out for you. Are there any contractors near Dayton Ohio?? I have a flat roof deck over my kitchen in my 1920 foursquare home. It leaks and has ruined a window. Ken Fisher is Regional Manager there – call him (214-770-2997) and he will connect you with local approved contractors. Tell him Leo from CoolFlatRoof.com sent you. I have a 12 x 24 foot basically flat roof over a sun room ( 1 1/2″ pitch) , and I’m looking at replacing the 20 yr old roof with a large membrane material. Once that is installed, i’m planning on installing a deck that lay on top of the membrane. My plan is to remove the existing rubber roofing, and install new 1/2″ plywood so I have a nice new clean surface to adhere the new roof to! So i’m looking for materials that will fit my needs. Thanks again for the detailed response. You’ve been a tremendous resource, from me finding IB Roof on your site (googled single ply membrane roofing) to these well thought answers to my novice questions. I talked to Katrina Harrison, IB Warranty Dept. She said they do allow materiasl substitution on the ISO board, and have an approved supplier list. ISO board was the one item that seemed unreasonable to force installers to use. As you said shipping costs & logistics, like bulk storage, are problematic. I know i’m only dealing with a residential roof….but if a manufacturer is ofeering a Lifetime warranty on materials I figure it makes sense to follow the proper guidlines. Thanks again for all your help. I emailed Todd Lesnett and let him know how helpful your site is. The contractor, wants to use the Deckshield, but as roofing membrane only. Stronger, more slip-resistent roof – not actually a deck with the DensDeck underlayment and all that. I did learn from Tood Lesnett, that for the IB warranty to be good, all accessories (adhesive, flashing, fasteners, ISO board) must be IB brand. Is this quality control or IB bankroll assurance? In short, if you don’t plan to use it as deck, you probably do not need IB Deckshield – it’s a special product for decks, and costs much more than regular IB roof. If cost is in fact almost the same (which I find hard to believe – DeckShied over DensDeck substrate is very involved and time consuming installation, and materials are much more expensive compared to typical 50-mil IB Roof over ISO insulation) than why not. As far as warranty – EVERY roofing manufacturer requires use of their accessories for the warranty – not just IB Roofs. Is this quality control or IB bankroll assurance? – I think both, though their accessories are pretty much same price as if their were bought locally. The only thing for me, is getting insulation from Chicago or Dallas – it’s bulky and shipping is expensive. We get insulation locally and I am almost 100% sure that IB will not be knit-picking the fact that we use “not their” insulation if there is ever an issue with material. Insulation is essentially the same, whether you get it from IB or local roofing supplier. All other stuff besides insulation (and sometimes screws, if we run short), we get directly from IB. This is especially important, when it comes to flashing and adhesive. Flashings – inside / outside corners, pipe boots, drip edge metal, etc are made from same PVC material as IB roof, so it is essential to use them, and not other brand. Besides, IB makes some of the best flashings on the market, and has the widest selection. On the other hand, I never heard of an actual IB Roof material failure, where the warranty would have to come into effect. I looked at the IB Roof web site. Noticed that DeckShield has a limited 10 year warranty, as compared to IB Roof lifetime warranty. Do you know why? I’m trying to figure out if there is any loss of qulaity, etc. using the DeckShield vs. standard IB Roof PVC. Obviously, the price is about $5 per sq. ft. more. Kevin – vent’s are for … ventilation … to get rid of the condensation under mechanically attached roof. Railing posts – IB makes railing post flashing which can be made to order, or a standard 4×4 post flashing. Either see the link to a flat roof deck installation above – or check our “roof decks” link all the way at the top. We do not use pitch pockets either, and they are really not needed anymore for most situations, as IB makes flashings to fit almost any roof penetration. There is no loss of quality. Here is the thing that many people fail to understand or even acknowledge – ANY roof’s warranty assumes NO regular foot traffic, and will be voided if manufacturer knows there is foot traffic on the roof besides the regular maintenance and repairs. IB warrants a membrane which they know will receive regular foot traffic, deck furniture, plants, grills, dropping objects, etc. It will most likely last much longer, but because the roof will be “abused”, IB limits liability to 10 years. Regular IB roof (as well as most other flat roofing materials) are not made for foot traffic, and even the “ohh so durable modified bitumen” roof will need a walk thread for service personal. Other than that – no quality difference between the 2 membranes. It sounds like your roof is in fact a deck, and not just a porch roof. So my price estimation that I gave you earlier, would be much higher as now there are so many more things to worry about. I actually recommend going with a DeckShield membrane if you plan to use that as a deck. Plain IB roof is not for walking and will be slippery, and can be punctured, or you would have to build a floating deck on top of the membrane, and in that case you would need to use 80 mill, and overall it would be much more expensive than DeckSheild. I have a slate deck that is laid over a 6-9″ thick concrete slab supported by heavy steel girders…the slate popped its grout and I am getting water into a room underneath the deck and water is not running off the deck as it should (insufficient pitch). I would like to replace the slate with something that would stop any leaks into the interior space below, stand up to snow and ice (that accumulates from a roof above) and will last. Anyone with expertise in my area (Ellenville, NY)? Hello. We are having a local contractor apply IB Shield (tan) over our flat top roof (above garage) to use as a deck floor. The garage is over 10 years old, so the contractor will be installing a board or required product underneath it to protect it. Being in Alaska, the temperatures can get to -60 deg F. with high snow load and foot traffic (to remove snow load). Will the IB Shield product hold up under such a low extreme temperature? I believe IB DeckShield will hold up just fine – IB has many roofs installed in Alaska, and I never hear of any temperature / weather related issues with them. Need new waterproof floor on sundeck in asheville, nc. Can your IB deckshield be applied to an existing mortarbed? Any decksheild contractors in nc? Hi, interested in your products but I live in Perth, Australia, any ideas how to get my flat roof decking design fixed? I live in Florida and have a sun deck which was constructed using a fiberglass coating over plywood. Thin pavers were used as the walking surface and placed on a thin layer of sand on top of the fiberglass. An aluminum railing and posts span 3 sides of the deck with the posts being secured to the top surface of the deck by drilling holes thru the edge pavers, fiberglass, and plywood and into the deck structure below. The installer used 3M marine adhesive around lag screws to secure the posts. Unfortunately, this deck has had major leaks both in the fiberglass coating (pinhole gaps in the coating) and around the lag screws. I have had to repair rotted areas of the plywood several times. Each time I think I have done a good job at waterproofing the lag screws, but continue to see leaks around the posts during heavy rain. Is there a better way to secure the posts to the deck and prevent all these leaks? I don’t have much sleep thinking about my broken roof deck. its quite old enough and it needs replacement. it has been there for 20 years and it has been a lone survivor. I’ve inquire some professionals to have a look with the condition and advised me to have waterproof deck other than the old one that we have. also advised me to convert my old fashioned basement architecture and apply a basement waterproofing systems to it. well, that sounds great to me in preparation for the winter to come. I will need to replace the deck. “Remove flat roof and replace with new BlueSkin base and new modified roll roofing top coat” and said he would be saving me money by not ‘hotmopping’ it. Does this seem to be a reasonable use of the BlueSkin product? I had never heard of BlueSkip before. HELP! I have a 12 year old flat roof deck with posts/railings that penetrate the membrane. When it was installed, the roofer ran the membrane up the posts for a few inches. It has seperated and the water has come inbetween the posts and the membrane and ruined the sub flooring. I saw where you solved this problem by cutting holes for the posts in the membrane and then fitting a sleeve over the post and welding it. I still cannot see how the membrane sleeve is attached to the post to prevent water leaking between the two. How would you vent a sun room addition with this kind of roofing material when the roof pitch is 1/12 and all the rafters run perpendicular to the existing wall? A vented soffit would allow cold air to vent in, but it would cause condensation inside the room if that air wasn’t vented out once it hit the warmth of the interior wall. Don’t see how this would be handled with this kind of roof…We don’t want to spray foam insulation on the underside of the roof, but will be using baffles and R38 before installing T&G ceiling board. Any suggestions that help would be appreciated! Hi,We are planning to replace our flat roof using pvc/cpa 80 mil membrane. We also have two decks 4ft by 16ft adjacent to the roof and maybe two inches above, that drain onto the roof through scuppers. The decks, we have been told were originally coated with urethane and over the next 30 years acrylic, or maybe latex. We dont at this time suspect any rot in the plywood . What I really want to know is :Can we get someone to fully adhere IB DECK textured PVC decking material to these decks? It seems to me that it would be good to do the decks and roof at the same time.Whqat surface preparation is needed? Do you have a recomendation for suppliers or installers in the Seattle Wa Area 98103? The IB DeckShield can be fully adhered, which is a typical installation type for it. I am unsure as to the surface that you have so your best bet would be to install 1/2 inch DensDeck (moisture resistant substrate for IB DeckShield) over the urethane/acrylic surface and install DeckShield over it. 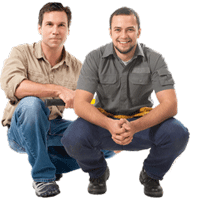 You should start by locating local IB rep and also talking to Bryan in IB’s tech department – call IB Roofs at 800-426-1626 and there you can get a few local contractors and technical information. I’m very interested in your product but reside in Texas. would you advice? Need to finish flat deck ASAP. For Assembly Type 2: How are the compopsition boards attached? I’m concerned about penetrations into the IB system causing leaks into the room below. I have a deck that is located over a bedroom. On occasion after a heavy snow or rain it will leak. Can you put me on to someone here in Philadlephia, Pennslyvania who can install IB DECK SHIELD. I recently added and addition to my house and added a flat deck over the kitchen, the deck was a last minute decision so it has no slope on it. The contractor recommended Blue skin, after reading about IB product I was wondering can I still use the IB product over the blue skin. I am hesitant on installing the sheet rock because I’m afraid the deck will leak. Any suggestions. Yes, you can install IB Roof over Blue Skin – you will need a separation barrier thought. You can use 1/2 insulation, which we often use for our roof installations, or a Poly separation sheet. This way, if Blue Skin contains any asphalt-based products, it will not destroy the IB Membrane. I have a roof deck over a bedroom. The roof deck leaks. Looking for a roof deck that you can walk on. The roof deck also serves as the entrance to a second floor Apt in a Duplex. Thanks! Unfortunately we do not work in CA – we are located in Massachusetts. Otherwise I would be able to help you directly. There are many IB contractors in Cali. You best bet is to call IB Roofs directly and they will put you in touch with local roofing contractors specializing in IB Roof installations. Call them – 800-426-1626.